Calypso, maker of the popular Calypso Case for iPhone (among other products), has announced a brand new line of products specially designed for Apple’s upcoming Watch device. Called the “Timeless” collection, the two new Apple Watch-focused products offer solutions for protecting and charging up the wearable device. So far, we’ve seen a number of further products aim to solve the problem of charging the Apple Watch – something owners of the device will have to do at least once a day. Calypso, however, is here to make the process a little less troublesome. 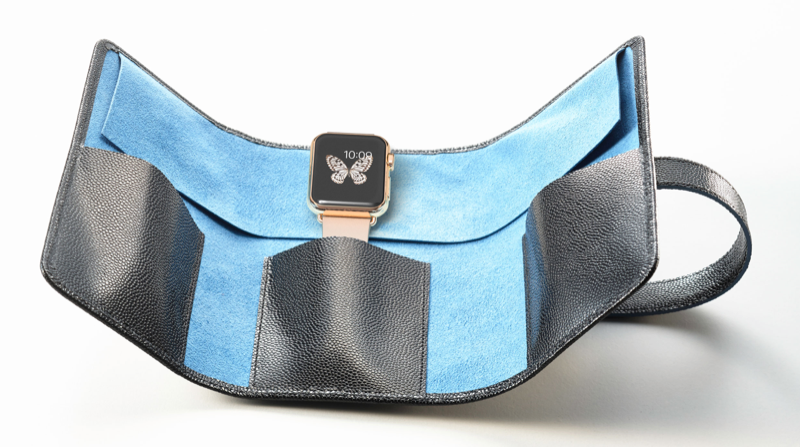 Called “TimelessMoment,” Calypso’s first product (pictured above) holds the Apple Watch, allowing its strap to extend outwards. Importantly, it also features a space for the Apple Watch charger, and a groove along the inside of the TimelessMoment dock keeps the white lead out of sight. 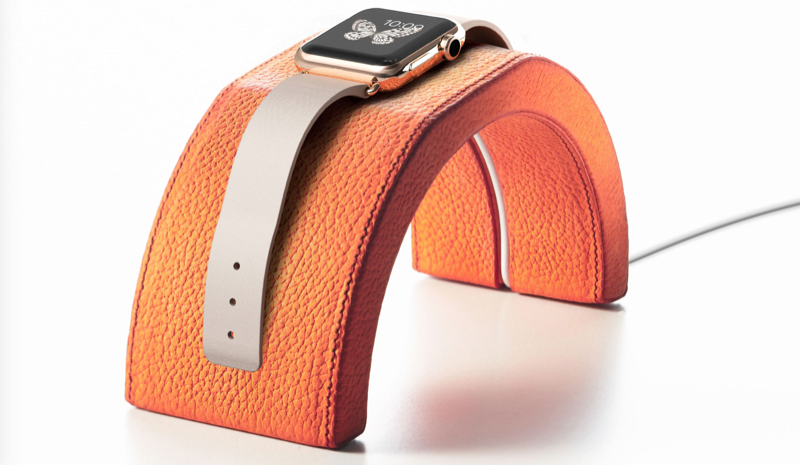 As such, users can charge up their Apple Watch while it rests on the leather dock. The aesthetics of TimelessMoment is a complement to your Apple Watch. Lay it down for a quick charge. That is all you need to do. Beautifully engineered and assembled with precision. As gorgeous as the Apple Watch itself. Calypso’s other Apple Watch product, TimelessTempo, is instead designed to protect the wearable device while owners are travelling or charging the smartwatch. It has three soft compartments for the Apple Watch, for a charger, a cable, and headphones. Plus, much like TimelessMoment, TimelessTempo is made of European leather. Both products will retail for $119, however Calypso is offering a special promotion for the first 500 customers to pick up either product when the Timeless collection launches on March 21, 2015. For the lucky 500, a 20 percent discount will be applied to your order, allowing customers to purchase a TimelessMoment or TimelessTempo for $95, instead. For more information, including the option of purchasing either product come March 21, head over to Calypso’s website. See also: Now, even Timex has a smartwatch, Stuck with your Apple Watch configuration? This flowchart can help, and A new startup lets you rent the Apple Watch before you buy it. 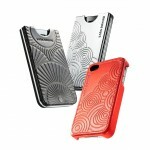 Do You Want A Calypso Crystal iPhone Case Under Your Tree This Christmas?